Qi is usually translated as ‘breath’ or ‘air’ or universal life force. Qi is the most important aspect of Chinese medicine. Qi is “the idea that the body is pervaded by subtle material and mobile influences that cause most physiological functions and maintain the health and vitality of the individual.” (Micozzi, 2015) Classical feng shui suggests that qi gathers on the surface of the water (feng shui = wind–water). Most cultures around the world have a similar concept of life force, so the concept of qi is not unique to Chinese culture. For example, this life force is called prana (India), lung (Tibetan), ki (Japan), barraka (Islam), neyatoneyah (Lakota Sioux), num (Bush People of the Kalahari), pneuma (Greece), ruah (Jewish), vital force or élan vital (Bergson), Spirit (Catholic), life force or The Force (StarWars) or just energy in popular culture. In physics, charge (Q) is the closest concept to chi. A charge is composed of positively and negatively charged particles which would fit the concept of yin and yang. Also, plasma (which is a cloud of charge) relates to chi, and scientists suggest that 99.9% of the visible universe is made of some form of plasma. See the video below about plasma to understand the electrical, ambient and radiant nature of chi. One oriental feng shui book, the Burial Book, states “Chi is dispersed by the Wind and gathers at the boundaries of the Water.” The Oriental people accurately noticed that chi is attracted to water which is confirmed by science ie water attracts a charge. I and Dan Winter are probably the only experts to define chi as charge. 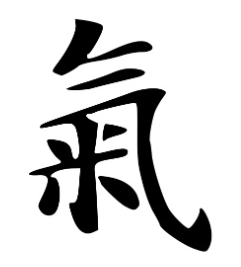 Most feng shui authors regurgitate the old adage that chi is life force without understanding what it is. More and more people recognise that we now live in the age of energy. From the Internet to all forms of communication to energy medicine to quantum physics – the fact is we are now living in a world where at least half of what is influencing and controlling us is in energy form. So feng shui can affect your chi and the chi of your environment but it’s not the most important factor. Nelson Mandela was affected by the chi of his prison cell but his personal chi and chi of others was the key influencer. In feng shui, your qi is influenced by many things such as light, colour, plants, shapes, the arrangement of furniture, etc. Together these characteristics create the chi of the home and workplace. Chi is maximised when extreme environment characteristics (yin and yang) are in balance. In quantum physics, there is the concept of the observer effect which states that observing a situation or phenomenon changes that phenomenon. Some researchers suggest that consciousness is an informational field or morphic field in which all phenomenon takes place. Others suggest that we live in a holographic/virtual / matrix/simulation reality where we are the co-creators of this reality. All energy travels in waves or frequencies, and each element has its own frequency band. Recognising and enjoying a particular element opens our minds and hearts to the natural energy resonant with the element. Through this process of resonance, we begin to pull in. When a C note is played on the piano and a guitar is nearby, the guitar string automatically will begin to resonate and make a C sound. In a similar manner, as you feel natural energy, you can begin to resonate with all the frequency of nature and open yourself to increase your access to it. In a sense, each element is like a particular channel on TV. All of the stations are always being broadcast. When we turn to a new channel, we are just picking a different frequency. The frequency is always being sent out regardless of whether or not they are being picked up. When elements are rich and vibrant in pure natural energies, then these particular frequencies are awakened in you and you can begin to access these energies. A fresh rose, for example, is one of the most healing frequencies in nature (80/100 – hence the name of my feng shui school – The White Rose Feng Shui School). To find comfort, we are automatically attracted to situations that include the element we need most. Some people love to sit in the sun, while others enjoy long baths. This often is because one person needs more fire energy while another requires more water energy. When our hearts are open we are attracted to what we need, and when our hearts are closed we are repelled by the elements we need most. For example, when you’re depressed you may dread going for a walk in nature when that is just the thing you need to do and your intuition is telling you to do so. “When it comes to your physical health – as well as the health of your life – your own intuition always alerts you to imbalances in your body, mind and spirit.” says Caroline Myss so listen to your intuition. “Whatever cannot be measured, cannot be real.”, said Max Planck and then the management thinker Peter Drucker said: “you can’t manage what you can’t measure.” Feng shui, in a nutshell, is about how to manage and moderate chi and chi flow. Many specific aspects of feng shui can be measured with different meters and instruments, for example, electromagnetic pollution and therefore solutions and ‘cures’ can be measured too. Other more subtle aspects such as ‘predecessor chi’ which is a residue left by previous owners of the property are more difficult to measure (although new developments in space conditioning offer hope of measuring it and changing it). And obviously, we use our senses to detect subtle energetic changes in our homes and workplaces. Also, our language can help us to identify if these sensory experiences are real or not. For example, if you say ‘I feel the tension in the office’, probably you are right. On the other hand, if you say ‘I think, there is tension in the office.’ – probably you were just imagining it. If after installing a geopathic stress harmoniser and negative ions generator you sleep better and have more energy in the morning – these interventions are most likely working and are real. In this introduction to electrical nature of life, plasma, charge and chi – you can get a good overview of how chi fits into modern feng shui and the science behind it. Dirty electricity affects our energy – watch the part where Paul talks about dirty electricity – from 1.03.